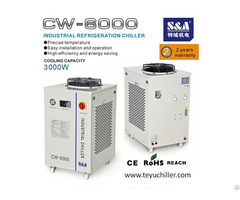 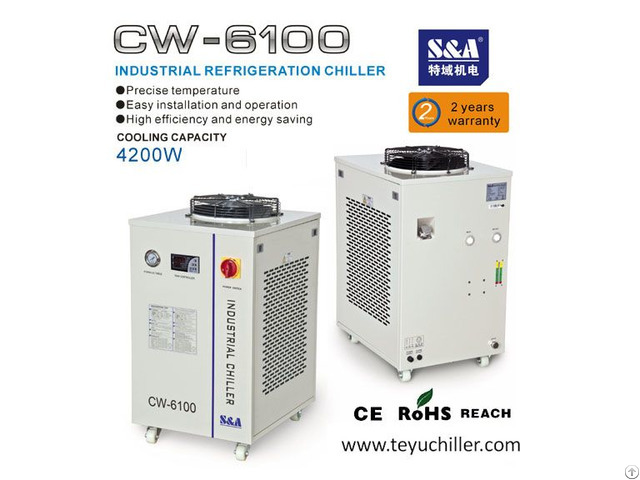 S&A chiller CW-6100 is developed and produced by S&A supplier of China, it is fit for cooling woodworking and laser machines. 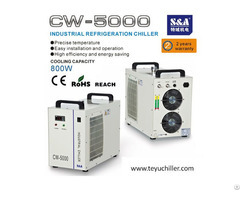 CW-6100 has 4.2KW cooling capacity, ±0.5℃ stability, and multiple alarm functions: compressor time-delay protection, compressor overcurrent protection, water flow alarm and over high / low temperature alarm; S&A chillers have passed ISO, CE, RoHS and REACH approvals and the warranty is 2 years. 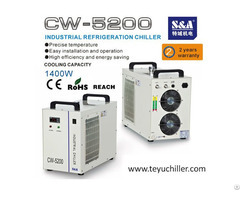 S&A produces more than 60000 units of industrial chillers by year, we always insist on Quality First in design and production.